Here we are at the end of January and so far my New Year’s resolution to eat a healthier, more balanced diet is going strong. 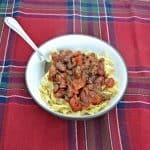 While in previous years I have cut out many of my favorite meals in an effort to eat better, this year I’ve kept my favorite foods but have done more with portion control and flavor. This fits right in with this week’s Sunday Supper theme of Living a Flavorful Life in 2016. I think enjoying food is all about flavor. Many people add unhealthy ingredients to give their foods flavor but I tend to turn to fresh herbs and spices. The right combination of herbs and spices can make all the difference in a dish that is just ok or a dish that really shines. When I’m starting to create a recipe the first thing I go to is my protein. It’s important to pick out a protein first because the spices change depending on what you are seasoning. I’m sure you aren’t surprised but for this dish I chose beef. I used to believe the myth that red meat was unhealthy but after doing my research and hearing from experts I’ve found that the right cuts of beef can be a nutritious and wholesome choice. Now I’ll be the first to admit that while I’ve gotten better at choosing beef roasts, I still struggle with picking the best cut of meat. That’s why I’ve found the Beef Checkoff’s Interactive Butcher Counter to be an amazing resource when I’m looking for beef to use in a recipe. It not only helps me find the perfect cut, it helps me explore all of the cuts that can be used for my recipe. When looking for beef for this recipe I simply clicked on Explore the Beef Cuts in the Interactive Butcher Counter. From there I was able to choose if I was looking for ground beef, steaks, roasts and ribs, or prepared cuts. 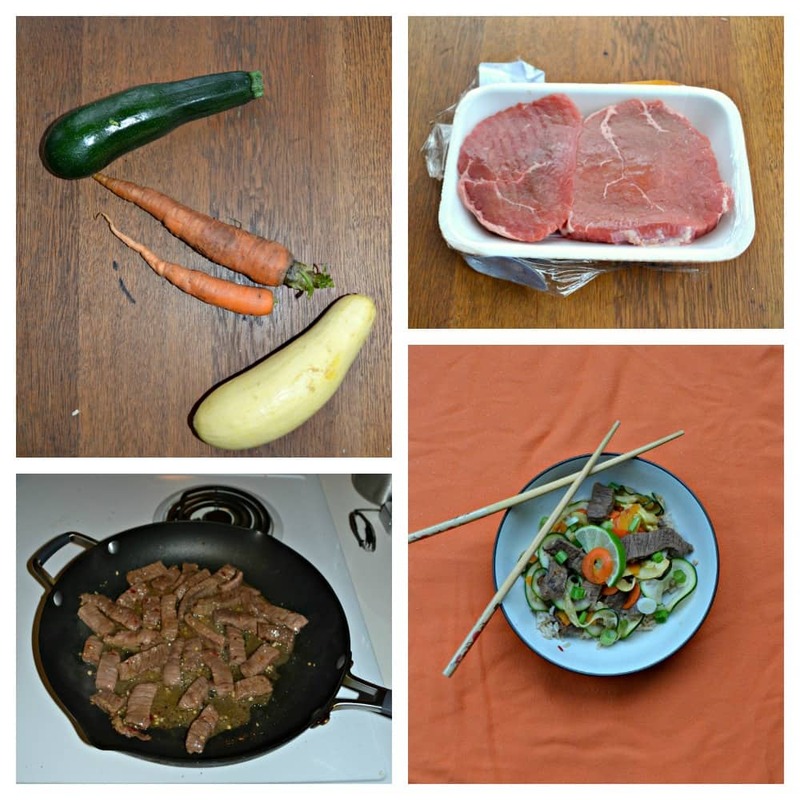 I chose to focus on steak because I was looking to make a Thai stir fry dish with the beef. Once I clicked on steaks it gave me a list of steak dishes along with a photo for each. Many of the steaks were also tagged with on them. These are the steaks I was looking for. Next I clicked on a few of the steaks and was shown the recommended cooking methods, nutritional information, and a link to recipes using the cut of beef. How cool is this website? I ended up choosing the Eye of Round Steak. It’s a lean cut of beef that is best marinated, grilled, or braised. Since I planned on marinating my beef before stir frying it, I thought this was a good cut to go with. It also turned out to be inexpensive and on sale at my local market! Once I had my protein chosen the rest came quickly. 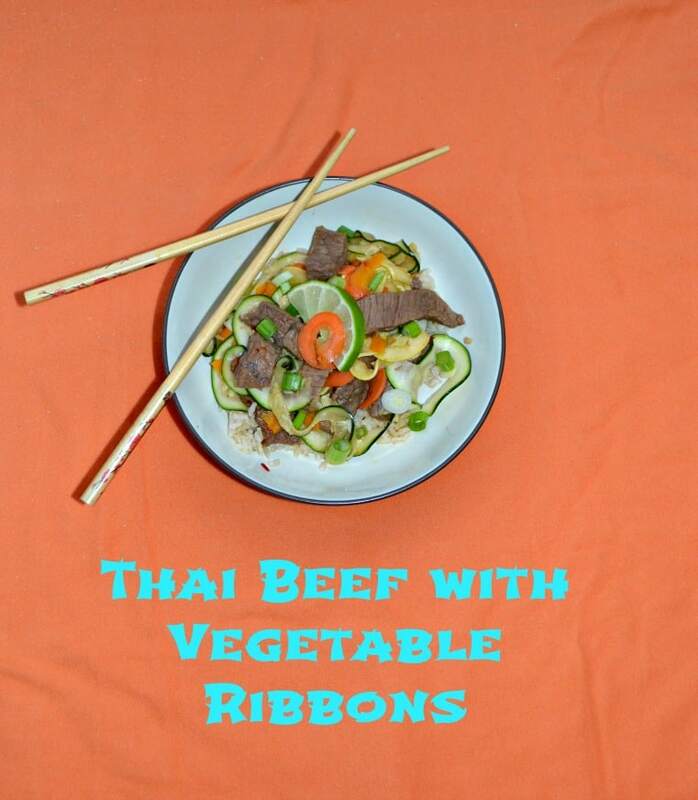 I wanted to make Thai Beef with Vegetable Ribbons! Since I was making a Thai Beef recipe I started with a marinade that was sweet, spicy, sour, and salty to give all of those distinct fundamental taste senses. My marinade consisted of fresh lime juice for the sour, brown sugar for the sweet, chili paste for the spicy, and soy sauce for the salty. I let the beef marinate for about 2 hours before making this dish. 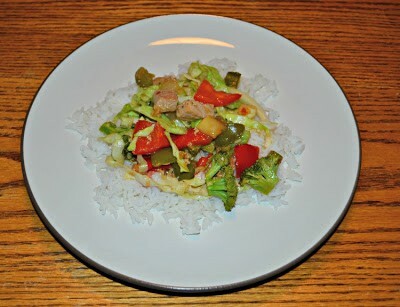 I wanted to serve it with brown rice and vegetables to make a delicious and wholesome dinner. However, I didn’t want to just chop up vegetables and throw them in the pan like I normally do. I wanted something that was going to be pretty and colorful and fun. This is when I broke out my vegetable spiralizer. I cut yellow squash, zucchini, and carrots into long, thin ribbons to add to this dish at the very end. Since they were so thin they would only need a few minutes in the pan to soften them slice and give them some of the Thai flavor. I stir fried everything up in a few tablespoons of olive oil and it smelled delicious. The beef was tender and had a distinct Thai flavor. The vegetable ribbons were slightly soft and still had beautiful and vibrant colors in the dish. Everything was served over brown rice for a tasty and balanced dinner that was bursting with flavor. 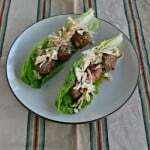 You can also find more delicious beef recipes on the Healthy Meals with Beef Pinterest Board. 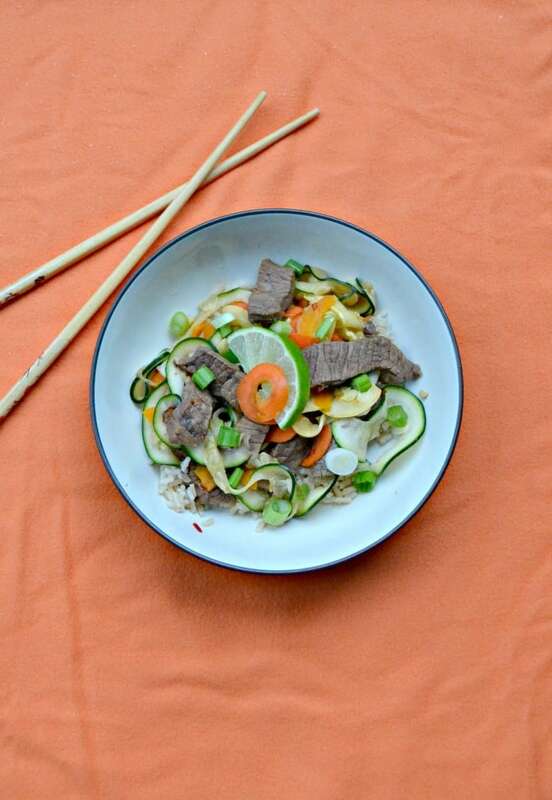 A delicious and flavorful Thai beef dish served with vegetable ribbons over top of brown rice for the perfect balanced meal. Combine all the ingredients for the marinade and sauce in a medium bowl. Divide in half. Place one half in a small bowl, cover, and refrigerate. Place the other half in a shallow container with a lid. Add the thinly sliced beef and toss to coat. Cover with the lid and refrigerate for 2 hours. When ready to cook the meal take out your vegetable spiralizer and put in the ribbon blade. 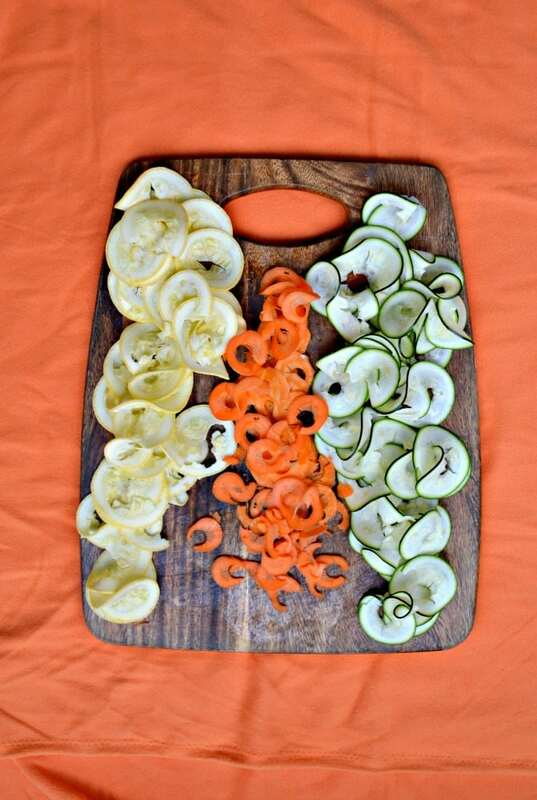 Cut the carrots, zucchini, and yellow squash into long ribbons. Set aside. Pour 1 tablespoon of olive oil into a large skillet over medium heat. Remove the beef from the marinade and add to the pan. Stir fry for 3-5 minutes or until the beef begins to brown. Remove the reserved sauce from the refrigerator. Add in the rice vinegar, ginger, black pepper, and water. Mix well and add to the pan with the beef. 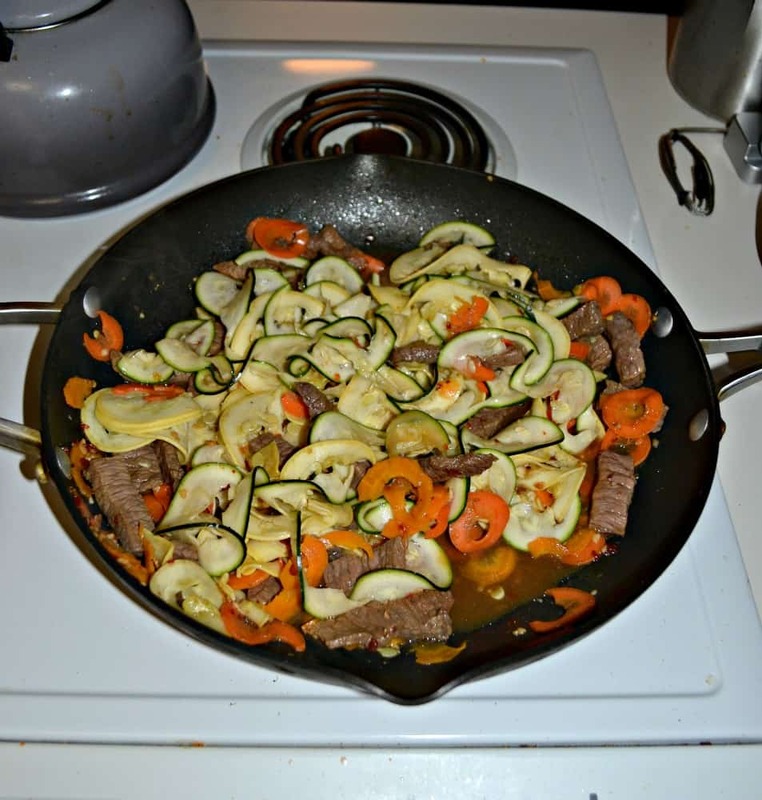 Add in the carrot, zucchini, and squash ribbons and stir fry for 3-4 minutes or until the vegetables just begin to soften. Remove from heat. Divide the rice between 4 bowls. Top with the beef and vegetable mixture. Serve hot. Sometimes it’s hard to eat healthier but when you add delicious flavors it makes it a whole lot easier! This look delicious and healthy! I just got a sprializer for Christmas I haven’t played with yet…now I know just what to make! I love using the spiralizer. It just makes eating veggies fun! Your vegetable ribbons are gorgeous—perfect pairing with your flavorful Thai beef! Full of flavor and vegetables, Love it. I love swapping veggies for carb sides. This dish looks SO good! I love the way this dish looks! A great taste combo going on here! Brilliant to use vegetable ribbons! What a great texture it adds to the dish. All those colors = TONS of flavors and textures. Looks delicious. What a fun idea to serve this with vegetable ribbons. So pretty! 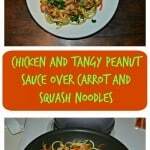 I love Thai flavors, and the veggie ribbons are a perfect addition! I love the vegetable ribbons in this. Makes the recipe so doable! That sounds yummy and the colors of the veggies are so pretty. Love this!